This entry was posted in Nuclear Power, Nuclear Risk Assessment and tagged Burton Richter, Fukushima, George P. Shultz, Jane C.S. Long, Japan by Steve Darden. Bookmark the permalink. The answer to the crux of the public trust and FUD problem haunting nuclear power is “Mad Men”. There is no better method or device to use to enlighten and move people your way than sheer educational advertizing on steroids. 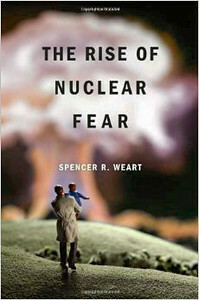 Unfortunately the nuclear community has been high clueless about hawking itself and the merits of nuclear power — something the fossils have never been shy about in extremis for generations; Ask someone in the states bordering the Gulf of Mexico about the big bad oil gusher explosion that killed many humans and put away mega sea and bird life coast to coast for months and you know what you get? A few blinks and “What explosion??”. What BP Gulf did to render half the south amnesic to its true fatal catastrophe could just as effectively be plied in Japan to clean up nuclear energy’s Darth Vader image there — and here — if only the nuclear industries had the common sense and self-preservation to also tap neverending aggressive educational FUD-busting Ads to strut nuclear’s high advantages and nearly zit lifetime worldwide mortality record.